Happy Sunday! Wow, it's been a whole year since I've blogged! Well that "resolution" last year did not last at all! As I'm learning more about myself, I find that I procrastinate a lot. I mean a lot...I like to distract myself from what I actually need to be focussing on! This year, I've decided to invest more time on myself; personally, mentally, physically and emotionally. 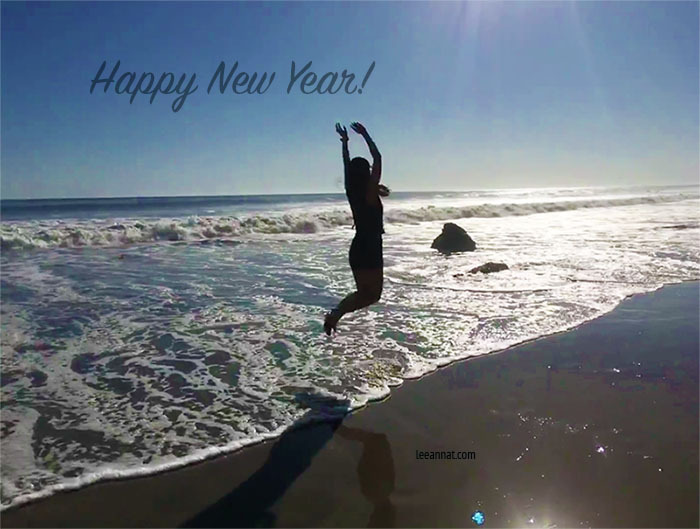 I love how the start of a new year brings a clean slate to new beginnings. I've been reading online recently that instead of new year resolutions, you can have a word to describe your goal for the year. This year I want my word to be to "Create". I want to create new opportunities, new blog posts, new initiatives, and overall be creative. I want to create a life where I am happy and at peace with myself. The most important, one skill I want to master this year is learning to love and be happy with myself. After a month into the year, I also have realized I need to focus! I get distracted very easily but though I want to focus, I want to explore different things to find what makes me happy. Oh the dilemma..
Hi Internet, Happy New Year! I know, I know… it’s been awhile since I’ve last blogged here. I haven’t written a post in such a long time! But as the year comes to an end and as I reflect on the past year, I’ve decided that I want to make blogging more of a habit! Today’s the last day of 2017 and as always, it feels like time has flown by! This year was filled with lots of experiences that have made an impact on my life. Some of the highlights include organizing events to give back to the community, travelling to Japan and California and meeting and bonding with family and friends. What are your intentions for 2018? Cheers to the New Year! Today my Instagram feed was filled with chili, nachos and guacamole for tonight’s Super Bowl. I’m not a huge football fan but was looking forward to Lady Gaga’s half-time performance. Tonight my dinner was also inspired by Super Bowl Sunday. This is such a simple recipe and can be altered with whatever veggies or beans you have on hand. 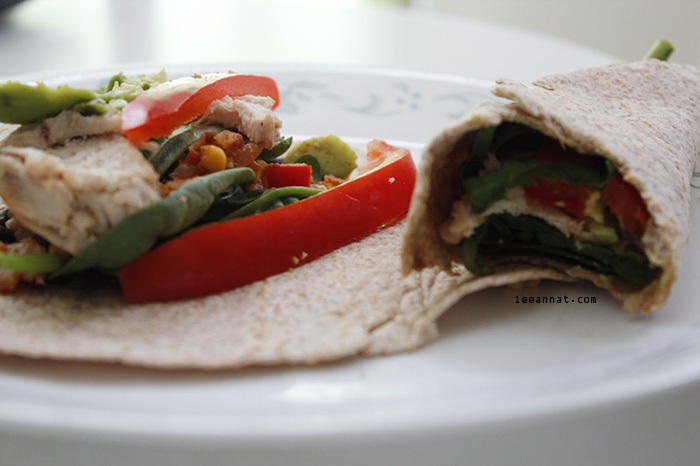 It’s so quick to make and can be eaten on it’s own, with crunchy tortillas on top, an avocado or be made into a burrito. 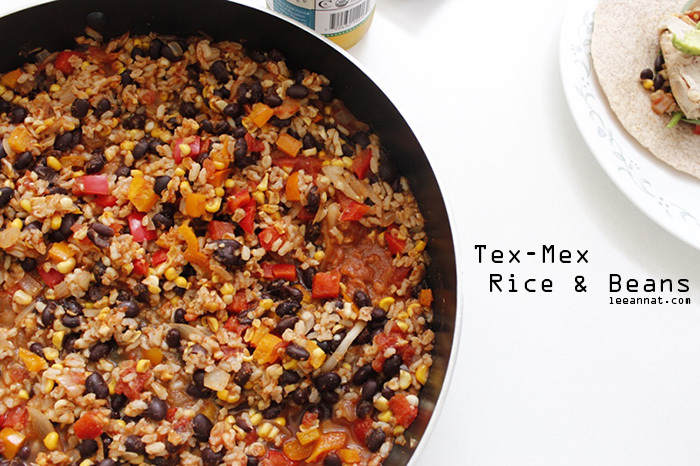 This recipe is based on OhSheGlow’s Crowd-Pleasing Tex-Mex Casserole. I didn’t bake this recipe like she did but it still tasted really good. I would say that the key to this dish is having the spices for the blend and the rest can be modified. 1. Tex-Mex Spice Blend: Combine the chili powder, cumin, paprika, cayenne, salt and coriander. Set Aside. 2. In a large wok, heat the oil over medium heat. Add onion, garlic, bell peppers, jalapeno and sauté for 7-8 minutes until softened. Season with salt and pepper. 3. 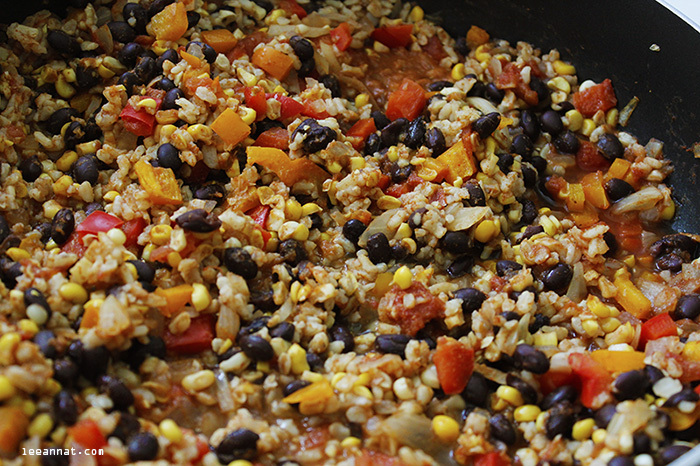 Stir in Tex-Mex Spice Blend, corn, diced tomatoes and their juices, tomato sauce, kale, beans, rice and cheese. Sauté for a few minutes and season with salt and pepper. With the lack of sunlight and shorter days, the number of outdoor activities available may seem limited. 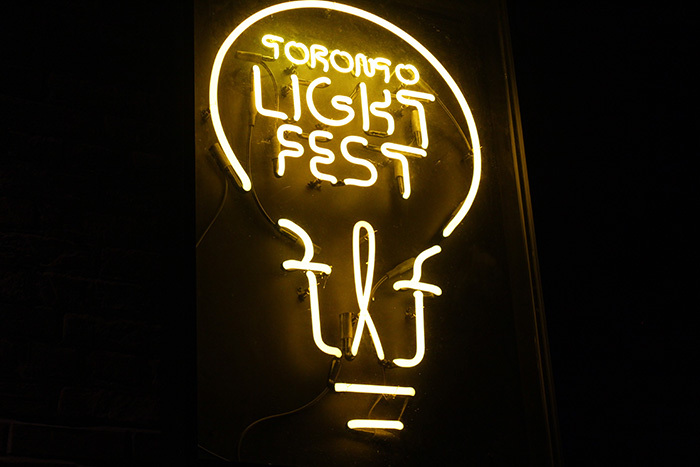 However, this year Toronto has brought another free event for us to enjoy this winter called the Toronto Light Festival. 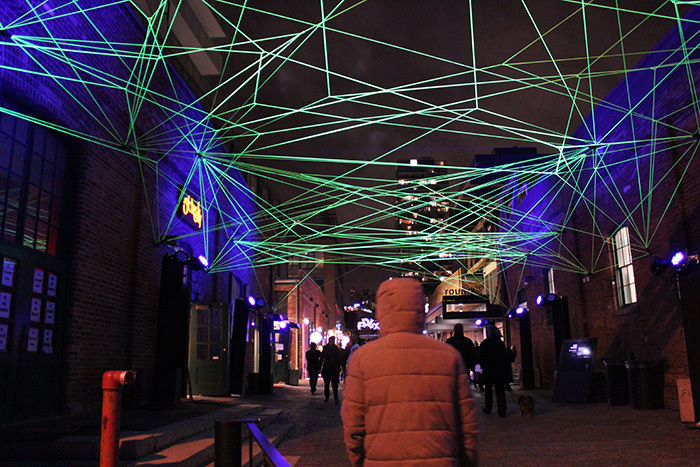 From the same creators that brought the Toronto Christmas Market to the Distillery District, this festival showcases creativity of local and international artists through different forms of light art installations. 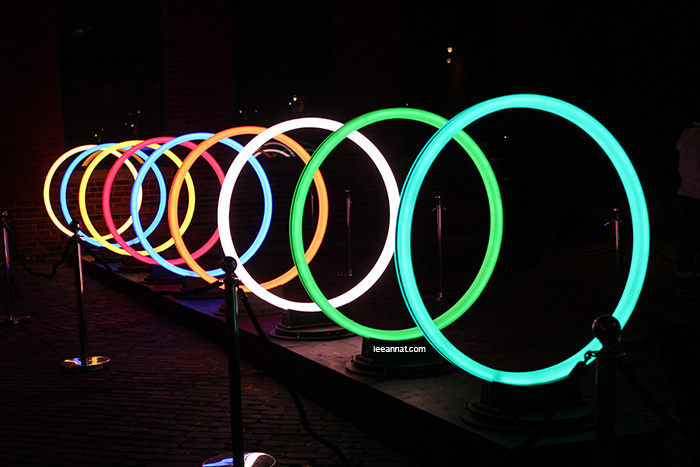 Located east of downtown Toronto, the festival offers an open-air art gallery throughout the Distillery District. The pieces are a bit far from one another, allowing people to journey through each display. Although most of the displays are located outdoors, there are a few exhibits inside the buildings allowing you to warm up from the chilly weather. 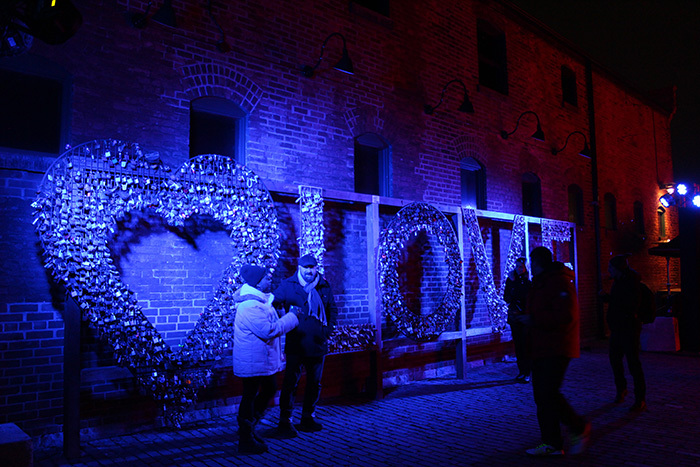 My Overall Impression: Since the Distillery District also contains many restaurants, shops and cafes, I highly recommend checking out the Light Festival as a side activity to lunch or dinner with friends and family. Since the exhibits are not all in one area, it allows for a nice walk before or after a meal. 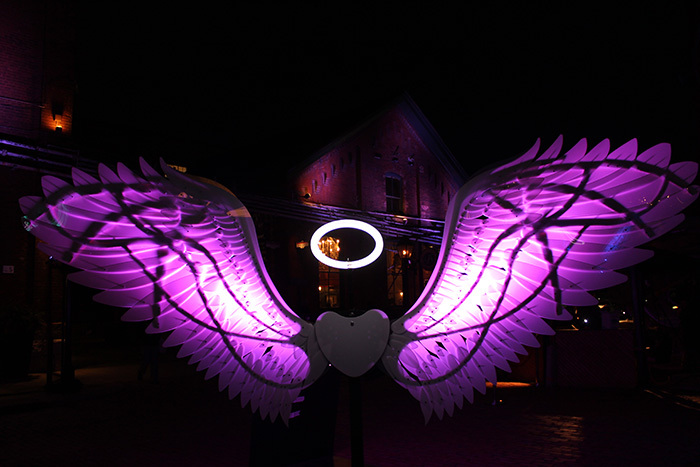 Otherwise, if you are trekking from afar to only see the Light Festival, it may not be worth it. 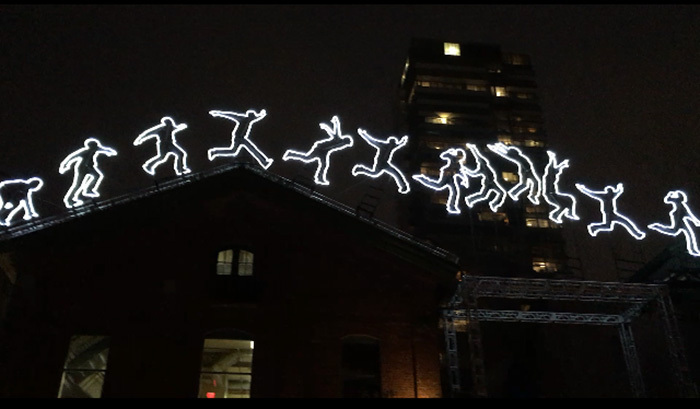 Since this was Toronto’s first Light Festival, I wasn’t sure what to expect. I thought that there would be many more light displays but the exhibits that were there were still really neat to see. 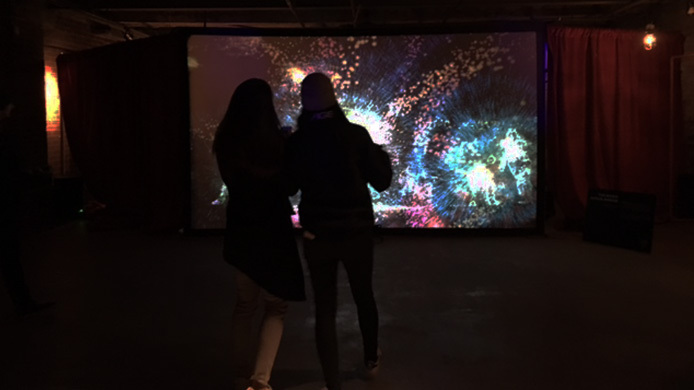 It’s also fun to go with friends to experience this art journey together as with all art, people have different perspectives and it’s nice to hear about what other people see it as. 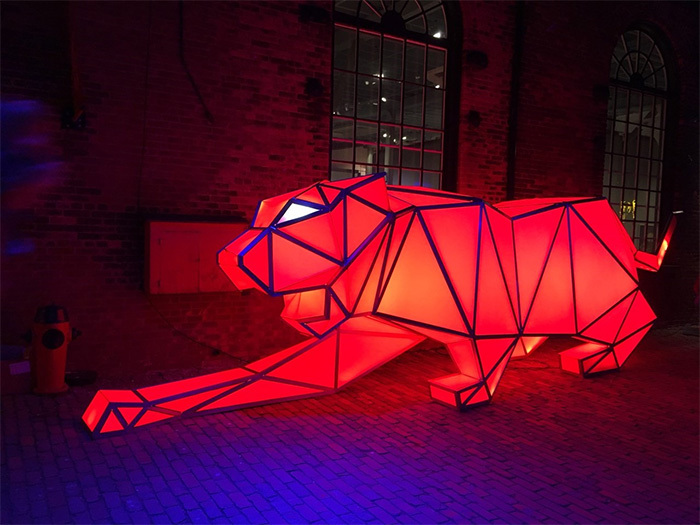 My favourite pieces were Run Beyond, the Magic Dance Mirror and the Digital Origami Tigers. 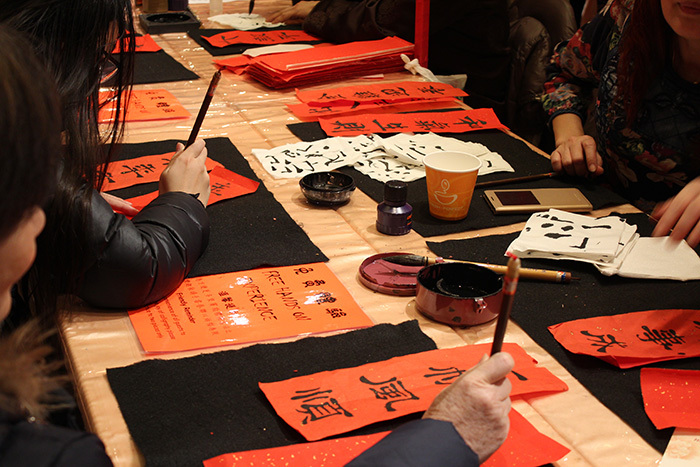 Celebrated on the first moon of the Lunar Calendar, Chinese New Year is a time for family reunions and traditions. Check out my post from last year on superstitions some people follow for good fortune for the New Year. My family celebrates Chinese New Year with a nice, big dinner and of course, distributing and receiving lucky money. With my Buddhist background, it’s also a tradition for my family to go to at least one temple if we can. We make this a mini family reunion, meeting others at the temple and catching up with one another. This year I was able to visit two temples, one on Chinese New Year eve and one on Chinese New Year morning. 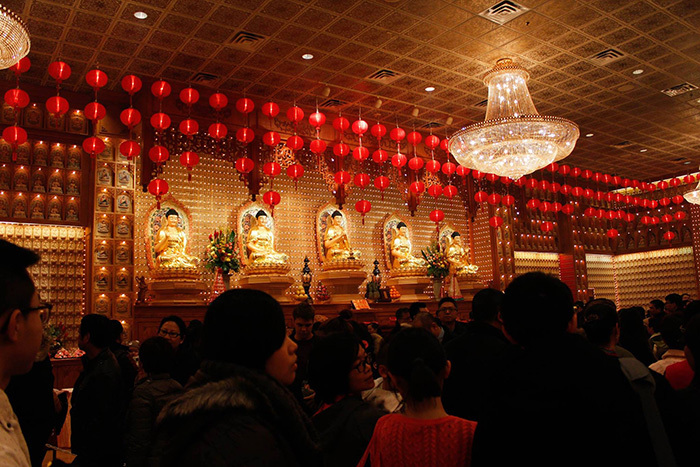 Below are some pictures from the Fo Guang Shan Temple in Mississauga. 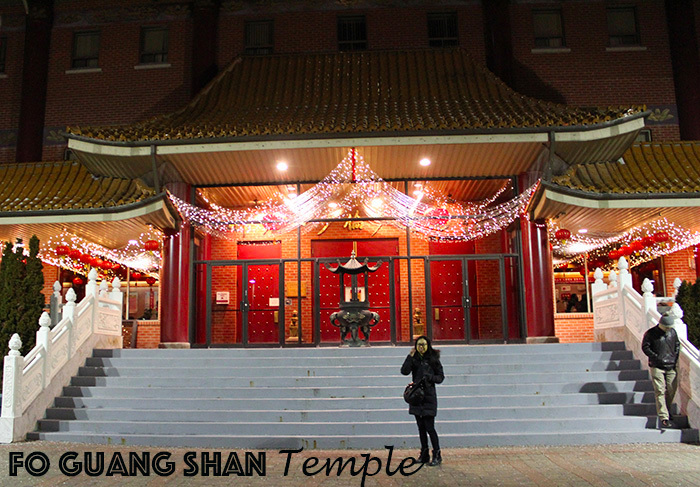 The Fo Guang ShanTemple is a beautiful centre with traditional Chinese architecture and artwork. As you walk through the large red doors, you are greeted with a large shrine encompassing several statues. If you choose to go into this part of the building, be sure to remove your shoes for respect and be prepared for the subtle smells of the incenses. Upstairs houses a mini museum explaining the history and culture of Buddhism. 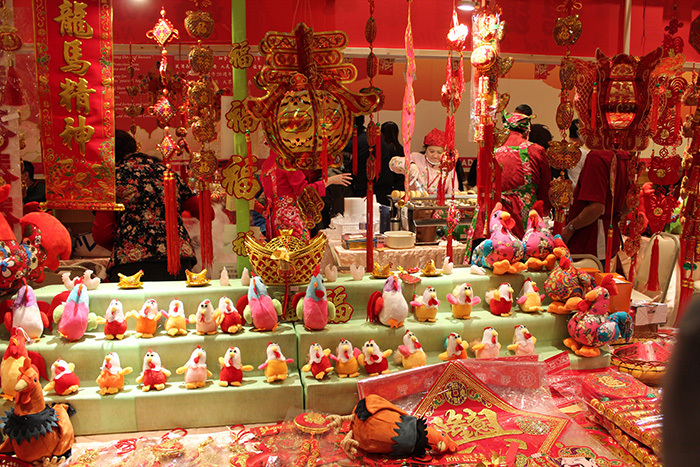 In celebration of Chinese New Year, the basement acted as a night market with several vendors offering many goodies. 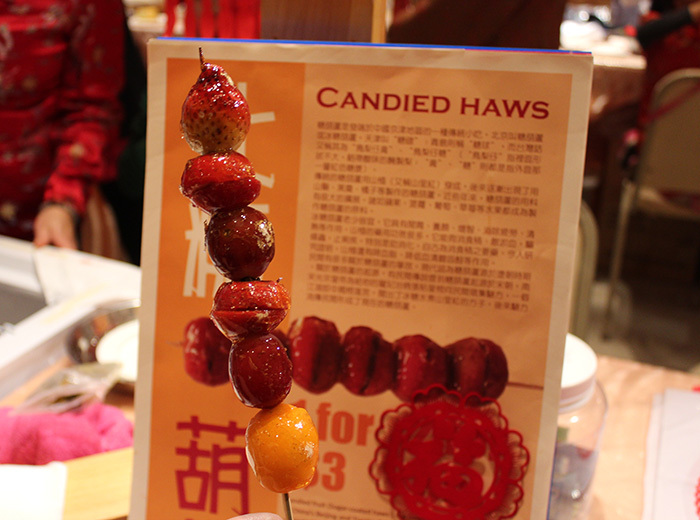 We were able to learn to write Chinese calligraphy and try some delicious candied frozen fruit as well as shop for some cute knick-knacks. Even if you aren’t Buddhist, this place is still neat to check out. Did you celebrate Chinese New Year? What did you do with your family? Based in Toronto, Canada, leeannat.com also know as Elle-tea (for my initials L.T.) 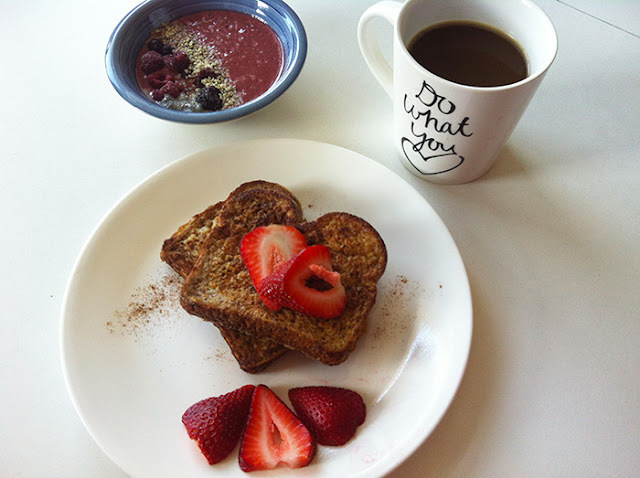 is a blog about my journey to becoming a healthier and better version of myself. Follow my journey as I try new recipes, activities, and save money like an adult for my first down payment.